The Ministry of Tourism held a workshop to discuss the competitiveness index of Indonesia’s tourist destinations known as 10 new Balis at Ratu Hotel in Tanjung Lesung, Banten, on April 20-22. The 10 new Balis is an initiative from the Indonesian government in a bid to boost foreign tourism to the country and include Borobudur Temple in Central Java; Jakarta's Thousand Islands; Lake Toba in North Sumatra; Tanjung Kelayang in Bangka Belitung; Tanjung Lesung in Banten; Mandalika in West Nusa Tenggara; Bromo Tengger Semeru in East Java; Labuan Bajo in East Nusa Tenggara; Wakatobi in Southeast Sulawesi; and Morotai in North Maluku. "This workshop aims to expand the knowledge and understanding of the relevant parties regarding the need to improve the competitiveness index of our tourism, especially in Banten," said deputy for tourism development at the Tourism Ministry Esthy Reko Astuti. 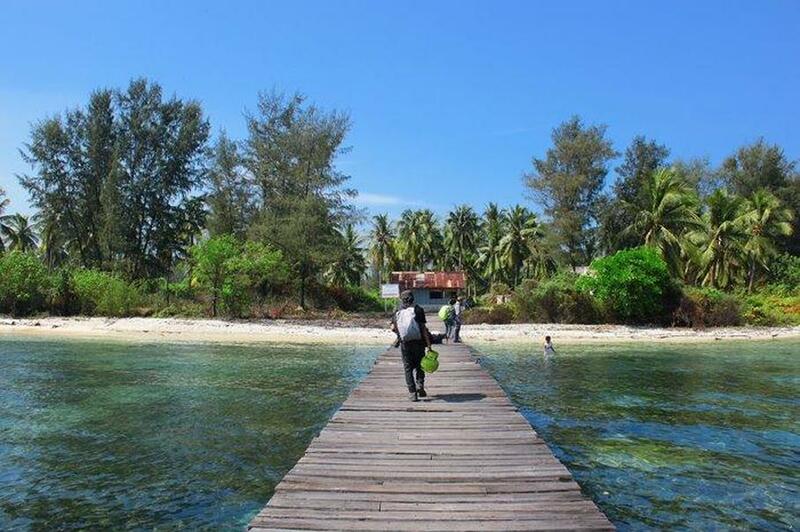 Sangiang Island in Banten. (Photo courtesy of Tourism Ministry). The event attended by deputy for tourism development and marketing, Tourism Ministry’s public policy special staff member Riant Nugroho, head of acceleration team for the 10 priority tourist destinations Ida Wirawati, and consultant Jacky Mussry of MarkPlus. Besides Tanjung Lesung in Banten, similar event was also held in Belitung and East Nusa Tenggara and invited invited the representatives from 10 priority destinations. Representatives from local tourist destinations Borobodur (Central Java) and Bromo (East Java) attended the first workshop held in Tanjung Lesung Banten. The second workshop was held on May. 04 to 06 in Tanjung Kelayang, Belitung (East Sumatra) and attended by the representatives from Thousand Island and Toba Lake (North Sumatra). The third workshop, which was held on May 22 to 24 in Labuan Bajo (East Nusa Tenggara) was attended by the representatives from Morotai (North Maluku), Wakatobi (Southeast Sulawesi), and Mandalika (West Nusa Tenggara). Acting assistant deputy for domestic tourism marketing at the ministry, Hariyanto said the workshop helps to design marketing strategy and helps to generate solutions to the problems that hinder the development of tourism sector in Tanjung Lesung, Banten. "We hope that this workshop would help to facilitate the acceleration process with great and effective strategies." Hariyanto is also hopeful that the workshop could help the provincial government of Banten to establish the action plan, which is compatible with the National Tourism Strategic Area (KSPN) of Tanjung Lesung in order to improve its competitiveness index. Tourism Minister Arief Yahya said tourism sector significantly contributed to the national revenue. By 2017, the Tourism Ministry targeted a total of 280 million tourists arrival, consisting of 265 million local tourists and 15 million foreign tourists.